Wine & cheese Make-up Night! Paper Pumpkin Monthly Craft Subscription 50% off for the first 2 Months for a Limited Time!!! 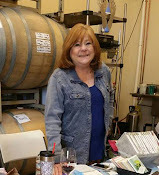 Need a gift for A Birthday? Graduation? Just for yourself? Ever thought just a tiny bit about trying Paper Pumpkin by Stampin’ Up? Now’s the time! I need ten NEW people to try this subscription service by the end of May. 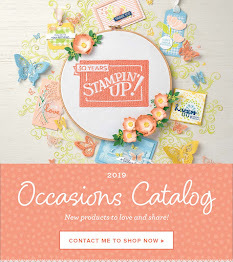 If you sign up by Sunday May 31, 2015 you will receive: * a stamp case for your new stamps, * a pick from my prize box * $5 off their next order AND * my undying gratitude and stampin’ support. MEGA Deal Alert: Paper Pumpkin Just $5 For New Subscribers! For 24 hours only, new subscribers can sign up for just $5 USD/$7 CAD (shipping included) for their first month! Go toPaperPumpkin.comand enter promo code24HOURS. Hurry—this offer expires tomorrow night at6:50 PM (MT). Best time to join EVER! For new subscribersonly,not valid on prepaid subscriptions. Discount applied to one kit per month for the first month of a new subscription. Offer endsMay 9, 2015 at6:50 PM(MT). . After the first month, the fun will continue for just $19.95 USD/$24.95 CAD a month (shipping included). The May kit! That’s right—this month’s kit is uh-MAY-zing! You do NOT want to miss this one. There you have it! Two GREAT reasons to sign up for Paper Pumpkin in the next 24 hours! Now . . . time to get busy. Call your family. Text your friends. Shout it from the rooftops. Share the promo code24HOURSon Facebook, Twitter, and Instagram so that no one feels left out.